Pricey if you don't watch it. The base 2009 Dodge Journey is the best value in its lineup. At $19,995, it carries plenty of standard equipment, all the safety gear a family needs, and many of the convenience features families want for road trips. The four-cylinder powertrain isn’t the best or the most efficient, but the base Journey delivers almost all the functions of the more expensive versions minus some power and the optional third-row seat. As a smaller crossover, the Journey's a good alternative to the Saturn Vue and Subaru Forester, maybe even to a Dodge Grand Caravan--just don't pile on the expensive options. TheCarConnection.com’s editors read all the competitive reviews of this new 2009 Dodge Journey crossover to produce this conclusive review and to steer you through the shopping process. TheCarConnection.com also drove the Journey, and we’ve added our expert opinion on the car where it helps you make a better purchasing decision. The 2009 Dodge Journey is a crossover vehicle, which means it marries a wagon body to available all-wheel drive, and has some sport-utility styling cues, though it’s largely based on car components. It also features gear you’d expect to find in the company’s Dodge Grand Caravan minivans. The Journey comes in SE, SXT, and R/T trims; offers front- or all-wheel drive; can be ordered with either a 2.4-liter, 173-horsepower four-cylinder (SE versions) or a 3.5-liter, 235-hp V-6 (SXT and R/T models); and has seating for five or seven. Dodge's first shot at the crossover market competes well with small and mid-size crossovers, from the Saturn Vue and Subaru Forester up to the Chevrolet Equinox, mainly on the strengths of its exterior styling, good ride quality, braking, and excellent blend of features and functionality. But the Journey’s interior styling is below par, and its handling can be sluggish. 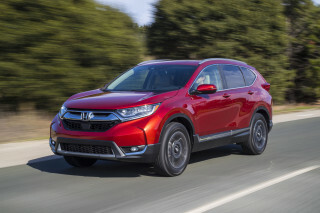 And if you're shopping for the next larger class of crossovers--Highlander, Edge, Murano, and Pilot--the Journey will seem tighter and somewhat pricey when equipped with all the bling. Good-looking on the outside, the 2009 Dodge Journey needs a styling intervention with its dated dash design. The 2009 Dodge Journey’s exterior styling isn’t controversial, but reviewers across the Web came up with varying opinions on its interior. Step inside, though, and the Journey’s interior takes its blows from a wide range of writers. Edmunds.com says “its interior is less refined than those found in competitors,” while TruckTrend half-praises it as “kind of nice.” They also liked the center stack design but didn’t care for the “brushed-chrome-look plastic on the SXT and SE.” In contrast, Road & Track says “the interior execution, which, while an improvement for Dodge, is still a far cry from being superb. The gauges have a 1980s look with square housings and glass partitions.” In either case, the Detroit News says, “the lines of sight are good, you sit higher than a car and controls are all easily and intuitively within reach,” though it notes the gearshift sits on the center console in a slightly awkward spot. 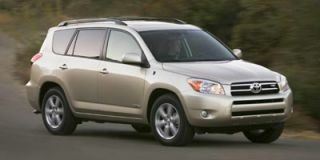 TheCarConnection.com’s editors think the exterior shape is a reasonably sleek combination of SUV and wagon. But the interior is far below the rich standard set by the Saturn Vue and the Honda CR-V, or even that of the Dodge Grand Caravan. Not only does the instrument package look inexpensive, it vaguely resembles the old Dodge Omni hatchback. And because it’s designed to be built in left- and right-hand drive, the gauges are set slightly askew from the horizon of the dash, all in the name of easier manufacturing. It’s a glaring error. Don’t buy the 2009 Dodge Journey for its performance, though it has a comfortable ride. It offers a 173-hp four-cylinder or a 253-hp V-6. But the 2009 Dodge Journey failed to impress reviewers from the major enthusiast and consumer car sites with either drivetrain. Edmunds.com felt “the standard four-cylinder engine and four-speed automatic transmission aren't quite up to the task of motivating the hefty SE's 3,800 pounds with anything close to authority.” ConsumerGuide said the four-cylinder Journey “keeps up with urban traffic acceptably well,” though. The Detroit News compared it to the Little Engine That Could: "I think I can, I think I can make it up this hill." When it comes to handling and ride, the Journey fared a little better. It’s “tranquil enough,” Edmunds.com says, but its body roll in corners is “disconcerting at times.” Cars.com noted that the sport-tuned suspension and 19-inch wheels kept the ride motions damped, “but not body lean in corners. Forget pinpoint handling...” ConsumerGuide said that all versions of the 2009 Dodge Journey “filter out road imperfections with commendable ease,” but said that base SE models “are prone to float over larger dips and swells.” TruckTrend was alone in noting that the Journey can tow 3,500 pounds, not too much less than the much larger Dodge Grand Caravan minivan. TheCarConnection.com’s editors agree with the comments on ride and handling, and add that the Journey’s steering comes in two flavors. On front-drive cars, it exhibits a little torque steer--a tugging motion under hard acceleration--but otherwise it’s reasonably well tuned, not sportscar-accurate but quick and light enough. The all-wheel-drive Journey requires more muscle and gives less steering feedback. The 2009 Dodge Journey accomplishes as many tasks inside as a Saturn Outlook--or Microsoft Outlook, for that matter--but can be noisy and plasticky. 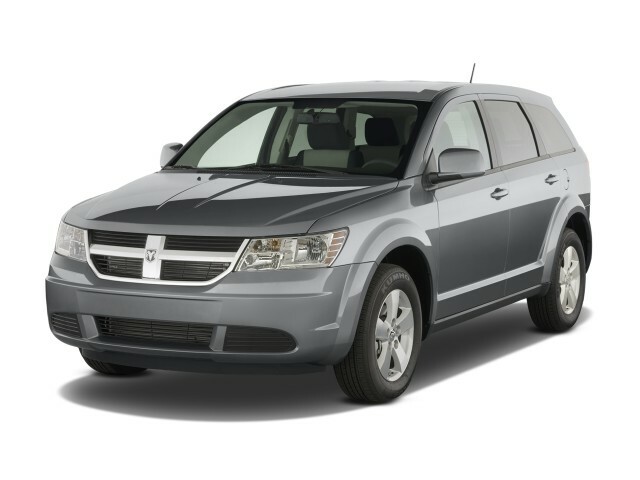 The 2009 Dodge Journey has ample room that’s easy to use, but its interior materials and some switch placements were criticized in most of the reviews researched by TheCarConnection.com. On the other hand, every review TheCarConnection.com’s editors read complimented the Journey on its extreme functionality and use of space. AutoTrader noted its Tip 'N' Fold seats in the second row “provide quick access to the back with the turn of a lever,” and that “both second-row seats and the front passenger seat fold to form a flat load surface.” The Journey’s also available with storage in the front passenger seat, in the footwells of the second row. And the available third-row seat folds flat for expanded cargo room, just as it does in the Dodge Grand Caravan. TruckTrend found the Journey’s “noise, vibration, and harshness characteristics are good,” but thought the four-cylinder was rougher than most modern designs. TheCarConnection.com’s editors loved the functionality of the Journey’s cubbies, bins, and cargo holds. But the seats felt flat for front and second-row passengers. Not yet crash-tested, the 2009 Dodge Journey has all the safety gear you’d expect--and then some. The 2009 Dodge Journey offers an extensive array of standard safety gear, easily among the best in its class. 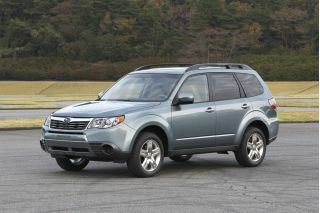 Edmunds.com notes that the Journey comes standard with anti-lock brakes, stability control, and side and curtain airbags. A rearview camera and built-in second-row child seats are options, they report. The Detroit News adds that trailer-sway dampening and tire pressure monitoring are “refreshing” standard features. The National Highway Traffic Safety Administration (NHTSA) has yet to crash-test a Journey, as does the Insurance Institute for Highway Safety. 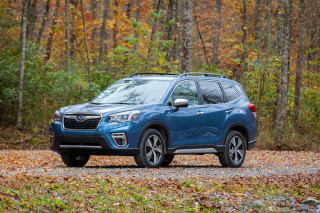 However, the NHTSA has given the Journey a rollover rating of four stars, which means it stands an 18 percent chance of a rollover in a single-vehicle crash. TheCarConnection.com will revisit our safety rating for the Journey when crash-test results become available. Few crossovers come close to matching the 2009 Dodge Journey’s extensive list of features. 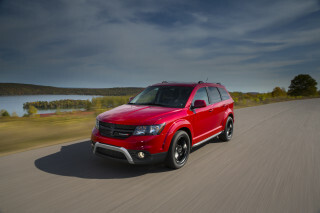 TheCarConnection.com’s editors read reviews of the 2009 Dodge Journey, and all the road tests gave the crossover the highest marks for its standard and optional features -- some of which are borrowed directly from the company’s Dodge Grand Caravan minivan. 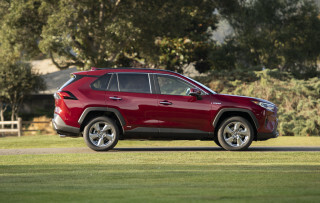 The Journey “excels on the inside,” Edmunds.com reports. It’s “loaded with clever, well-conceived minivan-style conveniences,” such as a cooled glove box for sodas, all those storage bins in the floor and door panels, and an iPod holder in the center console. The Journey’s standard equipment includes a tilt steering wheel; air conditioning; a six-CD changer; and power windows, locks, and mirrors. The SXT version adds a power driver seat, keyless entry, a 115-volt power outlet, and satellite radio. The top R/T edition gets 19-inch wheels, dual-zone climate control, leather upholstery, heated front seats, and remote start. Major options, Cars.com adds, include Bluetooth; a rear air conditioner; a rear-seat entertainment system; and Chrysler’s MyGig navigation and entertainment system with a backup camera. It adds that the “third-row seat runs a stiff $1,220.” The available power outlet can be shut off by the driver, which The Detroit News calls a “convenience” that can protect curious children from shocks. 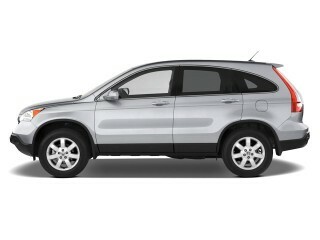 TheCarConnection.com’s editors agree that the Journey offers all the features and conveniences that a family would want. 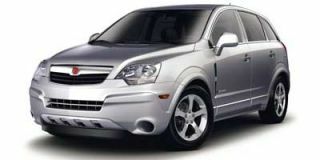 However, those options add up: you can price a Dodge Journey into the $35,000 stratosphere if you're a gadget freak. The sole feature missing seems to be the new SiriusTV system, which Chrysler is using as a come-on for its newly restyled minivans. The three-channel satellite television system will be offered in the Journey later this year. I will not buy an other Journey. Every time before I open the door. I wondering will the alarm go off? Did the doors lock them self? when will the abs shout them self off? will the door ajar alarm turn on even all doors/gate closed? lastly... Every time before I open the door. I wondering will the alarm go off? Did the doors lock them self? when will the abs shout them self off? will the door ajar alarm turn on even all doors/gate closed? lastly, will it star?